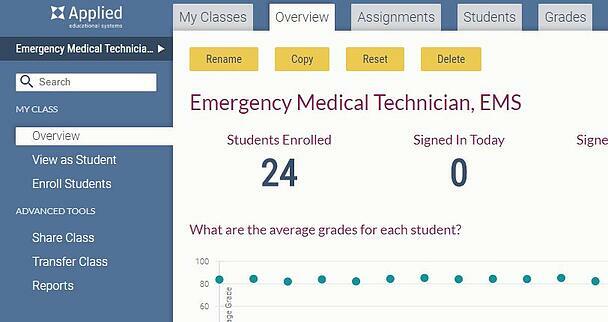 We've made some changes to the Teacher Interface to make it easier for you to manage your classes and assignments. On the My Classes Screen the buttons to Rename, Copy, Reset, and Delete a class have been given an updated functionality to provide better consistency for you. Now each button shows a pop up with clearer directions so you can quickly make top level decisions about your classes. On the Class Overview Screen the options for editing your class are now located at the top of the page, so you can quickly Rename, Copy, Reset, or Delete your class. On the Assignment Details Screen you will see two additional changes. First, you can now easily arrange the order of assignments in your class by clicking and dragging any module. In addition, you can now remove any module from your class by clicking the new Remove icon in the far-right column.